Mark's Tickets is the best place to find tickets for Boston Celtics fans. Just check this page for any new events or schedule updates throughout the year. We sell tickets to every Boston Celtics game around the world. 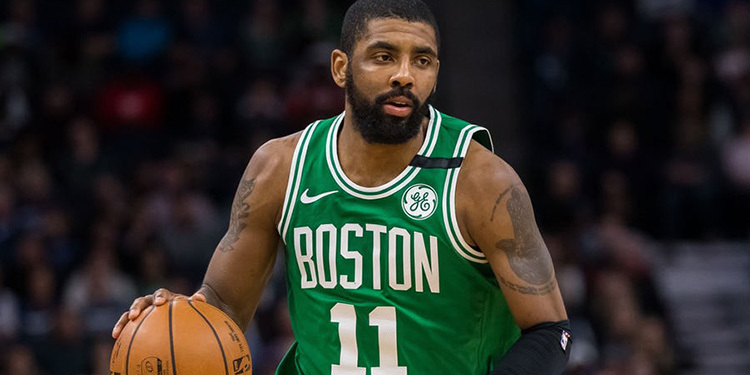 We know how passionate Boston Celtics fans can be about basketball, so we make sure to have hundreds of tickets for every game available right up until it starts. For those looking for cheap Boston Celtics tickets, we offer tickets starting at very low prices (many times below face value). We offer tickets in most sections of every venue that you can see Boston Celtics. Simply choose the city or venue that you are interested in below, and you will be able to see all of the available seats. Do not forget that Marks Tickets also specializes in sold out Boston Celtics tickets. No longer will sold out shows prevent you from seeing Boston Celtics. The Boston Celtics are a professional basketball team that plays in the NBA. The Celtics play their home games at TD Garden in Boston, Massachusetts. With 82 games per year, and 41 being home games, The Boston Celtics (?s?l?t?ks) are a National Basketball Association (NBA) team based in Boston, Massachusetts. They play in the Atlantic Division of the Eastern Conference. Founded in 1946, the team is currently owned by Boston Basketball Partners LLC. The Celtics play their home games at the TD Garden, which they share with the National Hockey League's Boston Bruins. The franchise's seventeen championships are the most for any NBA franchise. From 1957 to 1969, the Celtics dominated the league, winning eleven championships in thirteen years and eight in a row (1959–1966), the longest consecutive streak of any North American professional sports team. The Celtics dominated the league during the late 1950s and through the mid-1980s, with the help of many Hall of Famers which include Bill Russell, Bob Cousy, John Havlicek, Larry Bird and legendary Celtics coach Red Auerbach, combined for a 795–397 record that helped the Celtics win sixteen Championships. Before the retirement of the “Big Three”, who included Larry Bird, Robert Parish and Kevin McHale, thanks to some creative maneuvering by Auerbach, the Celtics had drafted second overall pick Len Bias but the team fell into decline as the college star died two days after he was drafted. Later, the team suffered another tragedy when their star player Reggie Lewis died of a heart attack in his prime. The franchise returned to prominence during the 2007–2008 season when Kevin Garnett and Ray Allen joined Paul Pierce as the new "Big Three," leading the team to its seventeenth championship in 2008 and an Eastern Conference title in 2010. During this time, point guard Rajon Rondo developed into a perennial all-star. The Celtics have met the Lakers a record twelve times in the Finals, including their most recent appearances in 2008 and 2010, with the Celtics winning nine and Lakers winning three. Four Celtics (Bob Cousy, Bill Russell, Dave Cowens and Larry Bird) have won the N.B.A. Most Valuable Player Award for an NBA record total of ten M.V.P. awards. Their mascot 'Lucky the Leprechaun' is an ode to the team's Irish heritage and to Boston's historically large Irish population.